Hamilton, Bermuda, January 21, 2015 /3BL Media/ ˗ Family-owned Bacardi Limited, the world’s largest privately held spirits company, improved upon its environmental efficiencies, launched a global sustainability initiative with industry-first goals, increased engagement with responsible suppliers, and made substantial strides in responsible marketing programs. 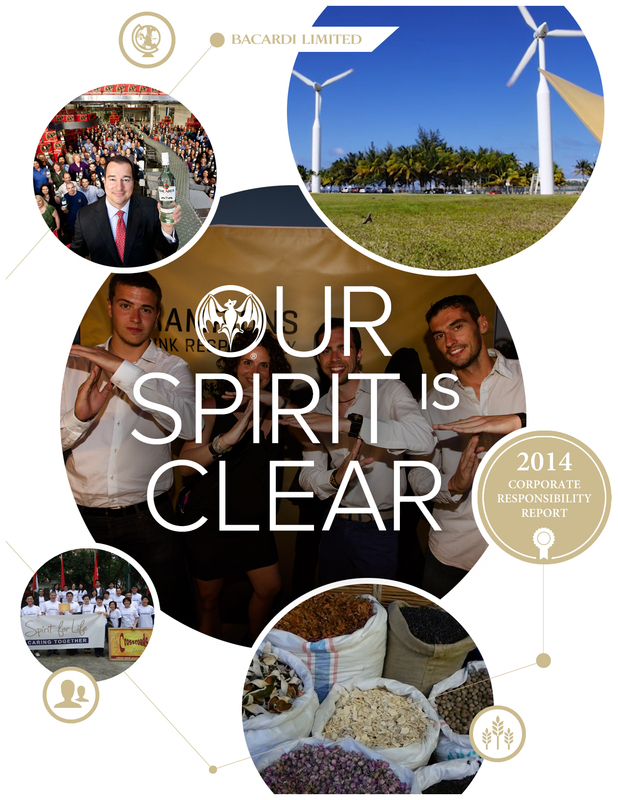 These achievements are highlighted in the Bacardi Limited 2014 Corporate Responsibility (CR) Report, released online today, detailing the Company’s many CR initiatives during its 2014 fiscal year (April 1, 2013, to March 31, 2014). The report, titled “Our Spirit is Clear,” showcases the Company’s commitment to promote responsible drinking behaviors and build a more sustainable future by protecting the natural resources used in crafting its premium products. As signatories to the 2012 global voluntary Producers’ Commitments to Reduce Harmful Drinking, Bacardi achieved first-year success in a number of action areas: marketing-agency responsibility compliance, limited television exposure to underage viewers, and programs to combat underage drinking. Supporting these commitments is the driving force behind the Bacardi CR model and overall company governance. “Encouraging responsibility by underage drinkers not to drink – and discouraging inappropriate consumption of our products are key priorities for Bacardi in creating a safer and more sustainable business environment to market and sell our products. We are proud to report that 100 percent of our marketing agency contracts required adherence to our strict voluntary marketing guidelines and nearly 97 percent of all television ads placed across seven markets measured were in compliance with having a minimum 70 percent adult audience,” says Rick Wilson, senior vice president, External Affairs & Corporate Responsibility, who leads Bacardi CR initiatives globally. Provided responsible marketing training to all new global marketing hires including a course on the recently updated Global Marketing Principles which now feature digital guidelines. Increased water efficiency by 4.6 percent leading to a 46.5 percent increase in efficiency and a water use reduction of nearly 50 percent globally with a reduction of 2.9 percent leading to a 28.5 percent reduction in greenhouse gas emissions globally from 2006 benchmarks. Launched the “B-Safe” Safety First seven-step behavior-based program in all 29 of our manufacturing sites to support the Company’s commitment to accident-free workplaces. Increased number of global direct suppliers and global point-of-sale suppliers linked to Bacardi on Sedex®, the database for sharing ethical audit data, to 80 percent and 82 percent, respectively. Launched the “Leadership Performance @ Bacardi” training program to more than 1,000 leaders to introduce changes in the performance management process to help them become more effective leaders. Achieved a 15 percent increase in women advancing to leadership roles within Bacardi, of which five percent were to senior leader roles, as part of the Company’s Women in Leadership (WIL) initiative. As part the Company’s annual CR Month, Bacardi employees participated in more than 100 different activities taking place throughout 36 countries resulting in more than 7,900 volunteer hours. Founded nearly 153 years ago in Santiago de Cuba on February 4, 1862, family-owned Bacardi manufactures its brands at 29 facilities and sells in more than 160 countries. Bacardi Limited refers to the Bacardi group of companies, including Bacardi International Limited. OR OF OTHER SUBSIDIARIES OF BACARDI LIMITED.